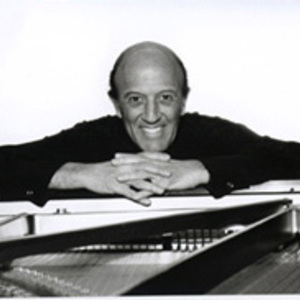 Emile Pandolfi Pianist/ Comedian, Emile Pandolfi Steinway Artist Emile Pandolfi is a highly regarded performer known for his mesmerizing live shows and sophistication as an artist. Born in New York but raised in Greenville, SC, Pandolfi is a classically trained pianist, an instrument he took up at the age of five. He earned a degree in piano performance, but turned to popular music afterward in search of more humor and flexibility. Steinway Artist Emile Pandolfi is a highly regarded performer known for his mesmerizing live shows and sophistication as an artist. Born in New York but raised in Greenville, SC, Pandolfi is a classically trained pianist, an instrument he took up at the age of five. He earned a degree in piano performance, but turned to popular music afterward in search of more humor and flexibility. Such exploration led Pandolfi to perform in England and Australia before landing base in Los Angeles, where he would arrange compositions for dancing, acting, and opera coaches, cruise ships, and clubs. Most notably, his impeccability led him to be one of four pianists to record the anthem "Rhapsody In Blue" to be played at the opening ceremonies for the 1984 Olympics, not to mention one of 84 pianists to perform live at the event. This experience also led him elsewhere, mostly along the comedy route, playing improv shows with Bobcat Goldthwait, Jay Leno, Robin Williams, David Letterman, Jerry Seinfeld, and many more. Pandolfi moved his family back to his hometown of Greenville in the mid-'80s and became a resident pianist at a local club until 1993. During this time, he also recorded his debut album entitled By Request, which was picked up by a national distributor and released in 1991. Sales of By Request have surpassed gold status. His work is in such high demand that his various material of Broadway show tunes, standards, and film scores have lead Pandolfi to sell nearly three million albums worldwide. His album roster also includes the critically acclaimed Please Welcome... (1993), Nights on Broadway (1994), and Evening Romance (2000). Aside from his musical passions, Pandolfi contributed his talents to a fundraiser with the United Way in 1994, a benefit concert showcasing his musical and comical talents while raising thousands of dollars for various charities. Classically trained from the age of five, Emile has applied his considerable technical skills to the creation of beautiful, classically influenced piano solo arrangements. The live performance is more than a musical concert, however. Drawing on his years at LA's Comedy Store and his very personable, friendly sense of humor, Emile introduces, or ?sets up? each medley or piece. In the classical portion of the show, he uses humor and sometimes, costume to bring even greater enjoyment and understanding of the pieces. The result is that audience members quickly feel at ease and experience two hours of exceptional entertainment in a variety of genres.